Section:- 1 WHAT DO WE DO WITH YOUR INFORMATION? Lore Perfumery do not store any payment information. Lore Perfumery will deliver the products to you only once the payment has cleared into the specified account. 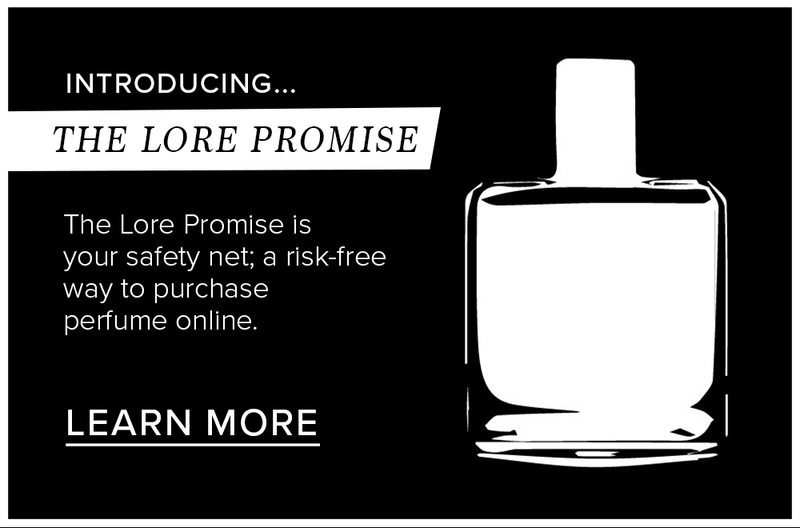 Lore Perfumery reserves the right to decline any payment that is believed to be fraudulent and exercise its lawful remedies if a dispute arises over payment through a financial provider. Lore Perfumery offer Afterpay as a payment service on all orders of $250, after any discounts, and over. What this means is, you can choose to pay for your order in 4 interest-free instalments. Afterpay conditions are that you require a credit card for instant approval, there is no application form or fee. To get started simply choose the AfterPay payment option at the checkout. This website is operated by Lore Perfumery Pty Ltd. Throughout the site, the terms “we”, “us” and “our” refer to Lore Perfumery Pty Ltd. Lore Perfumery Pty Ltd offers this website, including all information, tools and services available from this site to you, the user, conditioned upon your acceptance of all terms, conditions, policies and notices stated here. In no case shall Lore Perfumery Pty Ltd, our directors, officers, employees, affiliates, agents, contractors, interns, suppliers, service providers or licensors be liable for any injury, loss, claim, or any direct, indirect, incidental, punitive, special, or consequential damages of any kind, including, without limitation lost profits, lost revenue, lost savings, loss of data, replacement costs, or any similar damages, whether based in contract, tort (including negligence), strict liability or otherwise, arising from your use of any of the service or any products procured using the service, or for any other claim related in any way to your use of the service or any product, including, but not limited to, any errors or omissions in any content, or any loss or damage of any kind incurred as a result of the use of the service or any content (or product) posted, transmitted, or otherwise made available via the service, even if advised of their possibility. Because some states or jurisdictions do not allow the exclusion or the limitation of liability for consequential or incidental damages, in such states or jurisdictions, our liability shall be limited to the maximum extent permitted by law. You agree to indemnify, defend and hold harmless Lore Perfumery Pty Ltd and our parent, subsidiaries, affiliates, partners, officers, directors, agents, contractors, licensors, service providers, subcontractors, suppliers, interns and employees, harmless from any claim or demand, including reasonable attorneys’ fees, made by any third-party due to or arising out of your breach of these Terms of Service or the documents they incorporate by reference, or your violation of any law or the rights of a third-party. These Terms of Service and any separate agreements whereby we provide you Services shall be governed by and construed in accordance with the laws of 313 Brunswick St, FITZROY, VIC, 3065, Australia. 1. The promoter is: Lore Perfumery Ltd (ABN 1317526404) whose registered office is at 313 Brunswick Street, Fitzroy VIC 3065. 2. The competition is open to residents who reside in Victoria, Australia except for employees of Lore Perfumery and their close relatives and anyone otherwise connected with the organisation or judging of the competition. Winners entering from outside the state will be disqualified. 5. The competition is running on both Facebook and Instagram. 7. Closing date for entry will be 30/4/18. After this date, the no further entries to the competition will be permitted. a) Follow the link provided on Facebook or Instagram and enter your details to join our mailing list. 10. Only new sign-ups are in with a chance of winning (“Entry”). All details given must be truthful, accurate and in no way misleading. 14. The prize will be given to the winner in the form of a coupon code and must be used in one complete transaction. The coupon code/gift voucher will not be mailed, only emailed. 15. The prize is as stated and no cash or other alternatives will be offered. The prize is not transferable. Prizes are subject to availability and we reserve the right to substitute any prize with another of equivalent value without giving notice. 16. The winner will be chosen on 1/5/17 at 313 Brunswick Street, Fitzroy VIC 3065 at random by software, from all entries received and verified by Lore Perfumery. 17. The winner will be notified by email 7 days of the closing date. If the winner cannot be contacted or does not claim the prize within 14 days of notification, we reserve the right to withdraw the prize from the winner and pick a replacement winner. 19. The competition and these terms and conditions will be governed by Australian law and any disputes will be subject to the exclusive jurisdiction of the courts of Australia. 20. The winner agrees to the use of his/her name and image in any publicity material, as well as their entry. Any personal data relating to the winner or any other entrants will be used solely in accordance with current Australian data protection legislation and will not be disclosed to a third party without the entrant’s prior consent. 23. By entering this Competition, you consent to Lore Perfumery contacting you for advertising and marketing purposes, you also agree that your email address, will be added to our mailing list. If you do not wish for us to contact you in this way, please telephone us on 0394161221 or email us at hello@loreperfumery.com.au or click on “unsubscribe” at the bottom of our marketing emails. 24. By entering and participating, entrant agrees to hold harmless, defend and indemnify Facebook from and against any and all claims, demands, liability, damages or causes of action (however named or described), losses, costs or expenses, with respect to or arising out of or related to (i) entrant’s participation in the Sweepstake, or (ii) entrant’s participation in any Prize related activities, acceptance of a Prize and/or use or misuse of a Prize (including, without limitation, any property loss, damage, personal injury or death caused to any person(s). 25. This promotion is in no way sponsored, endorsed or administered by, or associated with Facebook.